Nassau Inter-County Express (NICE) located in Garden City, New York, and operated by Transdev Services in the State of New York, has exercised options under its current contract for heavy-duty 40- and 60-foot Xcelsior® CNG buses, manufactured by New Flyer of America Inc., a subsidiary of New Flyer Industries Inc. The options exercised under this contract include an order for 28 40-foot Xcelsior CNG buses and five (10 EU) 60-foot Xcelsior CNG buses. Once completed 25 buses will remain on the contract to be exercised at a later date. 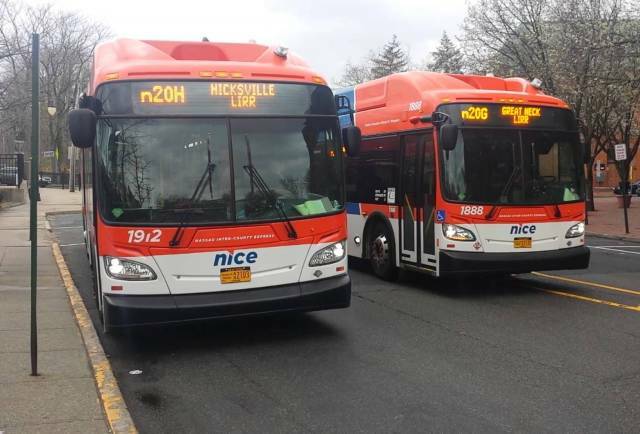 The 28 40-foot buses will replace existing buses in the NICE fleet that have reached the end of their useful life, while the five 60-foot buses will be used on the customer’s new bus rapid transit line, scheduled to start service in 2017. The option quantities for this award were mentioned in New Flyer’s 2016 third quarter results announced on November 11, 2016.